Thoroughbred dogs are being taken by many of the families as a pet. They enjoy living with them, spending time but if you have bought your dog recently or just about to buy then make sure about some of the things before making it a part of your family. There are some truth about thoroughbred dogs and do keep these things in mind. Many of the people buy thoroughbred dogs and then they complain about their behavior their characteristics. 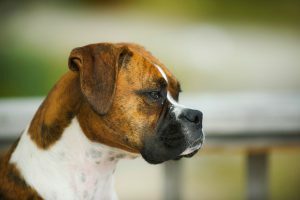 Before you buy a thoroughbred dog and bring it to your home make one thing sure that you are able to handle the physical characteristics of your dog. Can you give them brushing as much as they need? If your dog is large then can you provide them with enough of the exercise and many things like this have to be managed by you? Most of the dogs were trained to do some special work like protecting the livestock, military/police work and many things like this, so they will not be able to set with you and your family. Aggressive behavior towards other dogs. To chase and attack the moving things like small animals and cat. They have independent thinking, they can’t do what you want them to do. The reality is that all the breeds of dogs are never intended to be a pet. It has been known till now that all the species of the same breed look exactly same like their parents. But if you want to make different puppy from the parents then you can change the traits of the parents and can have a different puppy. Dogs can’t breed with one another if they are not from the same gene pool. If dog breeds with some other dog of a different pool than puppy will have many of the genetic disorders like cancer, tumor, skin disease, neurological disorder, heart disease and sometimes epilepsy too. When all these disorders will take place in the puppy than its obvious than the puppy get mature it can’t breed with other dog due to diseases and these factors further limits the gene pool. Thoroughbred dogs are not like simple dogs. They eat selected food, live in a proper shelter, needs a proper bath from their shampoo and many of the other things. So these things require a lot of the expenditures. 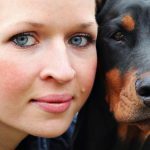 So do think once that can you manage your dog properly, can spend time with them because they need your time and attention and can afford the expenses.